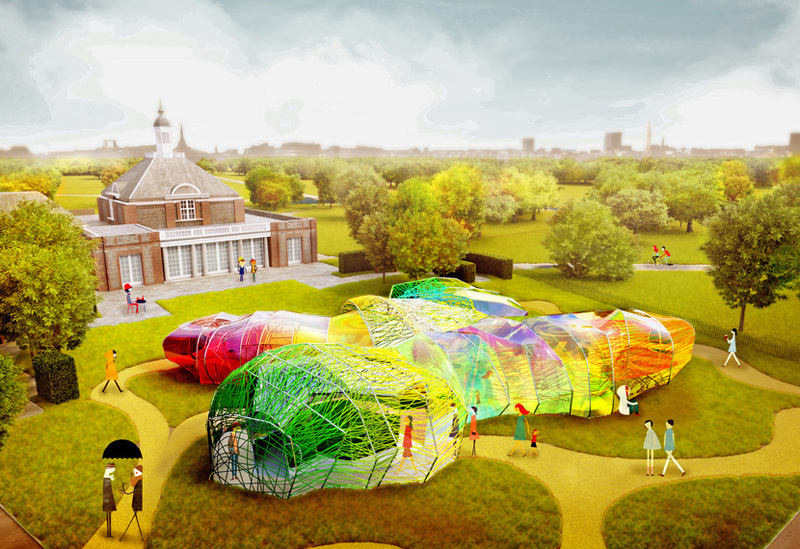 Luminous, playful & "confounding our expectations"
The press launch of the 15th Serpentine Gallery Pavilion took place today. 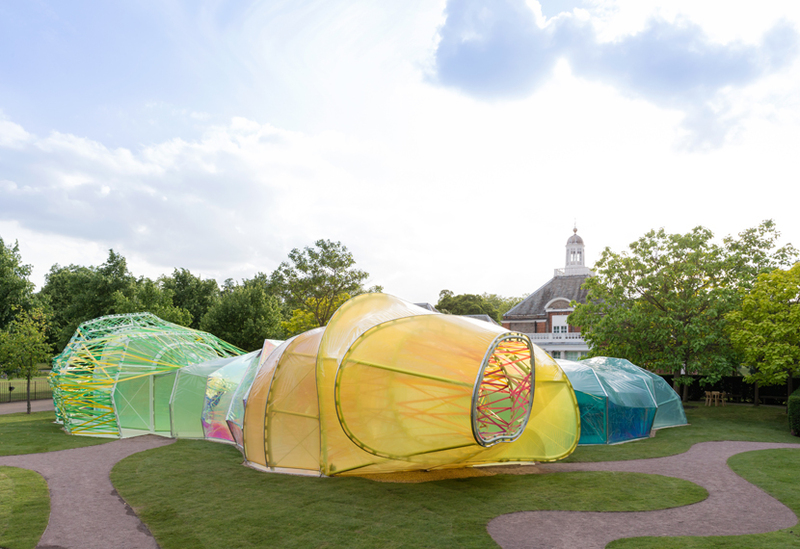 The pavilion, designed by Spanish duo SelgasCano, was manufactured here in our workshops and installed on site by our highly experienced Serpentine team. This is the seventh Serpentine Pavilion we’ve built and each year the commission presents us with materials and techniques that contrast completely with those required for previous years’ structures. 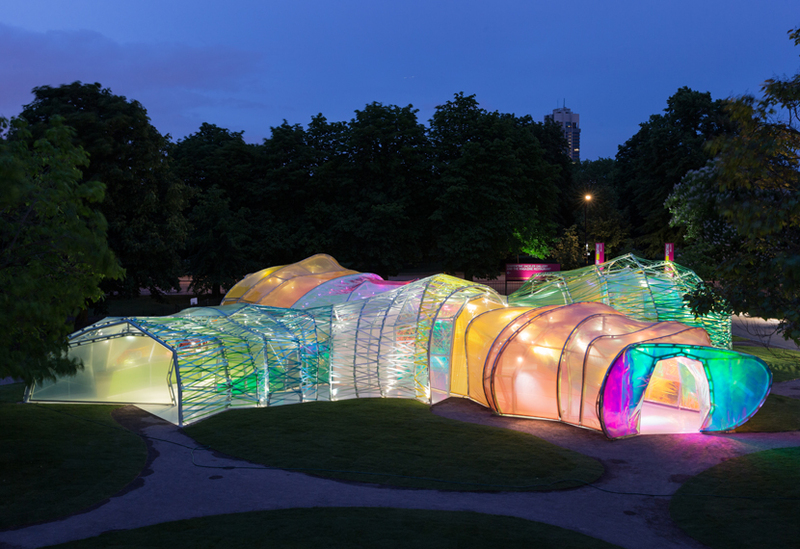 The polygonal structure comprises panels and ribbons of a translucent, multicoloured fabric membrane, Ethylene Tetraflouroethylene (ETFE). 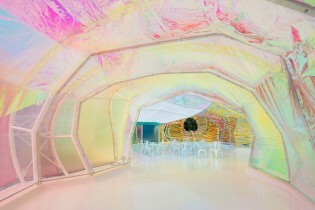 These are woven through a modular solid steel frame, incorporating a series of white steel arches with very complex form. 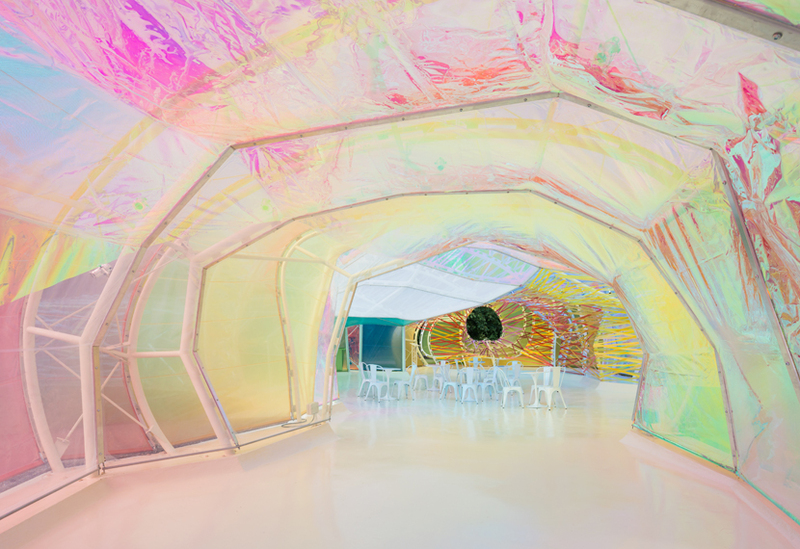 Multiple entrances and a secret corridor running between the inner and outer layers and lead visitors into the luminous and colourful ‘stained-glass’ interior. 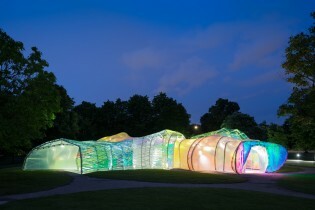 The pavilion will be open to the public on 25th June.